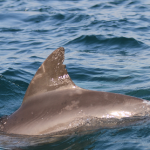 After one year of constant survey of the coastal waters of Dubai, over 250 engine hours, 2000 nm of navigation on transect and a whopping 7,320 pictures we can start pulling together some ideas on how the Dubai dolphins are doing! 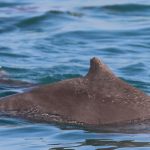 The number of sightings was not very high: we recorded 20 sightings across three species: 3 of finless porpoises, 8 of humpback dolphins and 9 of bottlenose dolphins. 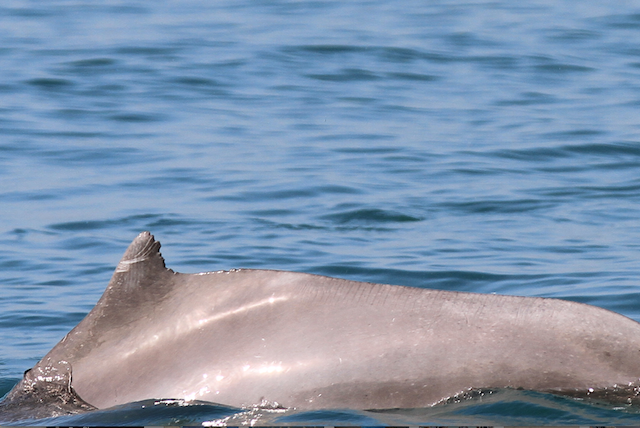 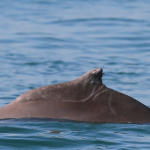 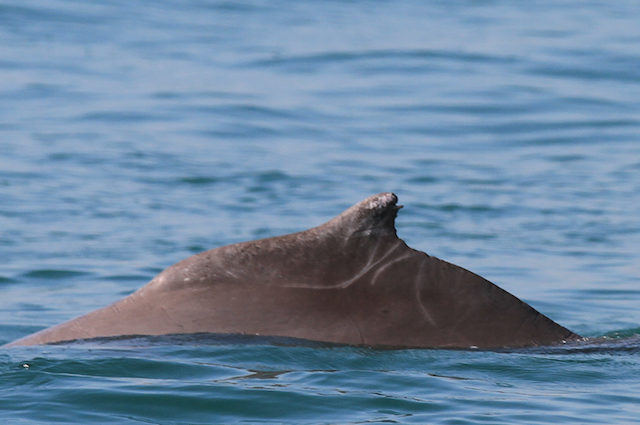 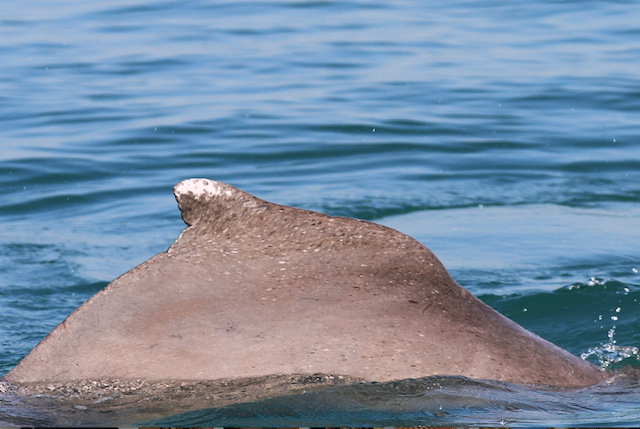 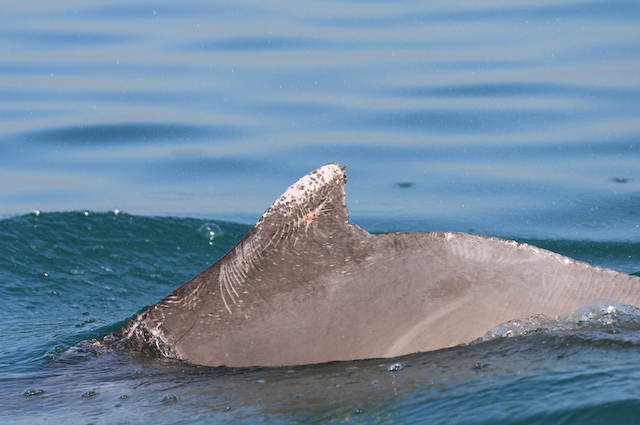 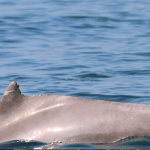 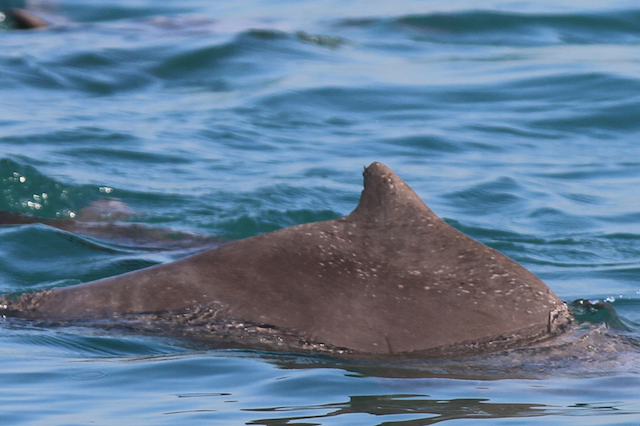 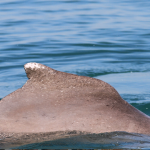 From the sighting distribution it appears that bottlenose dolphins prefer more offshore waters, whereas humpback dolphins and finless porpoises really like coastal waters with a concentration of sightings extremely close to the Dubai shores! 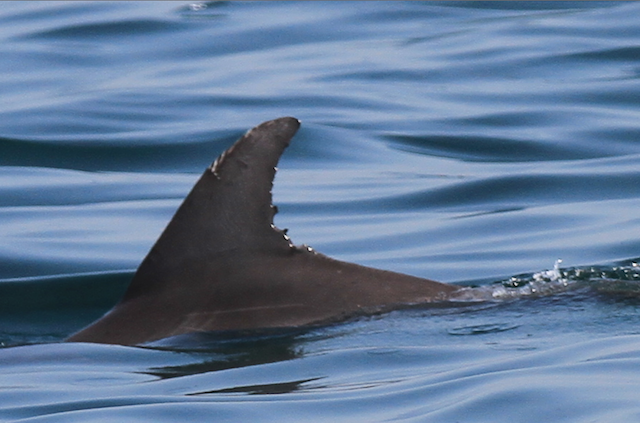 Overall we counted a total of 212 dolphins however when we look at the photo identification data numbers are much smaller! 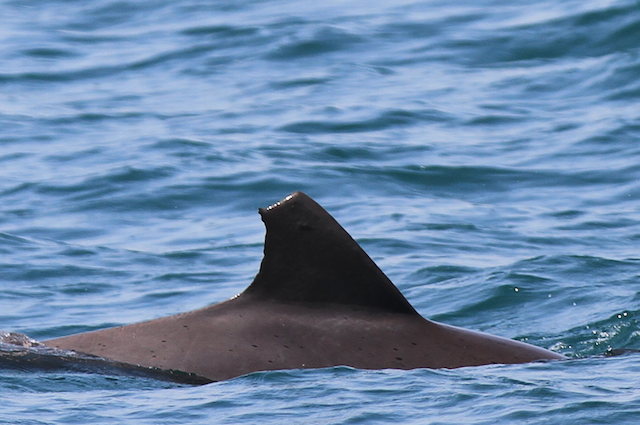 Not much more can be said for the finless porpoise, as it doesn’t have a dorsal fin, but for the other two species permanent notches allowed us to recognise 73 bottlenose dolphins and 31 humpback dolphins, and most of them were re-sighted more than once, sometimes for up to five times in the area! 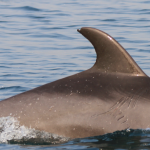 That suggests that most probably we are dealing with resident populations. 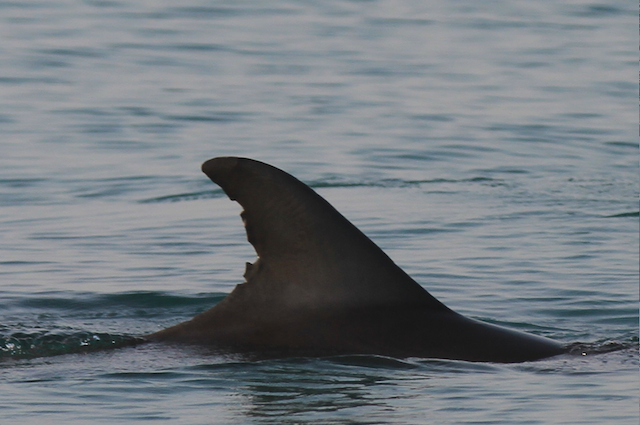 All species showed the presence of calves, suggesting that they utilise these waters for nursing and maybe breeding too. 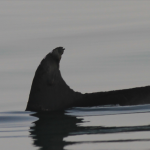 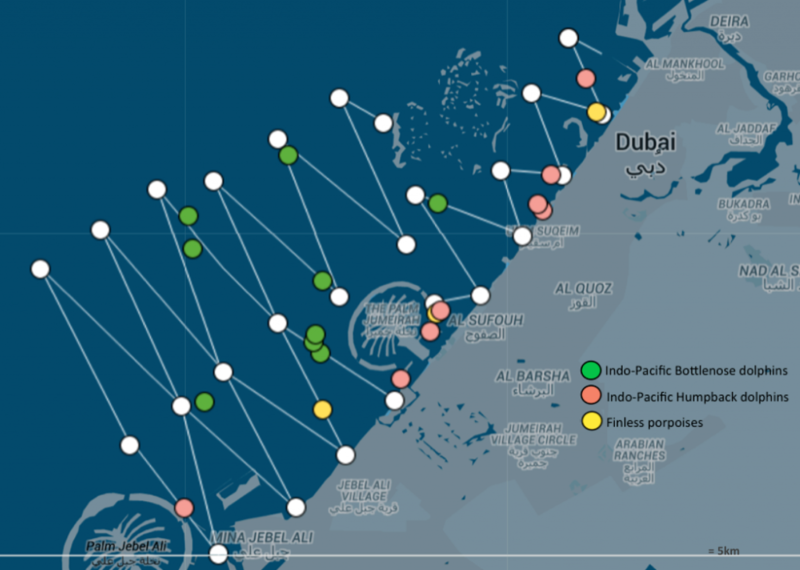 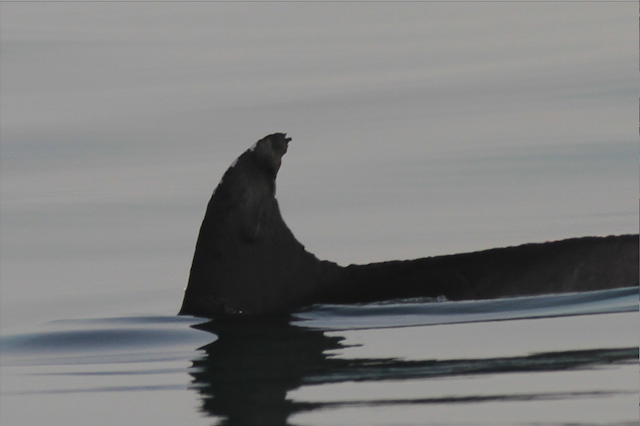 However, the fact that we don’t have a high number of sightings tell us that probably our study area does not cover their whole home range: where do they go when they are not in Dubai waters? 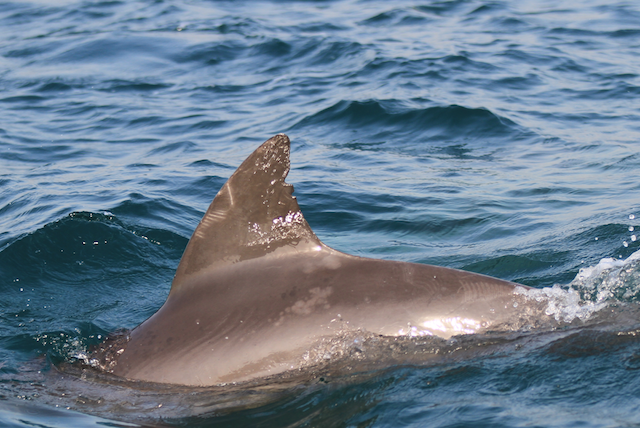 This is our quest for the coming year. 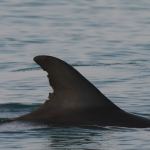 If these are the actual numbers of our dolphins, we are dealing with critical small populations and conservation measures should be taken if we want the next generation been able to enjoy these species in Dubai waters! 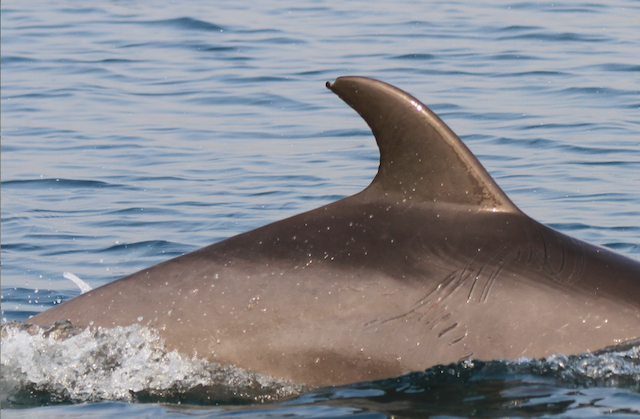 Further population estimates and data analysis is undergoing on our dataset so we should have a better figure soon. 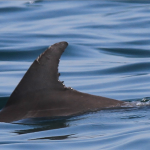 If you are at sea and encounter dolphins please do try to take a picture of their dorsal fins and report it along with the location of your sighting! 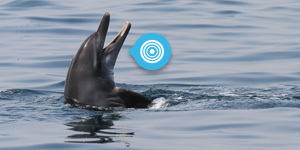 You can help us with our quest! 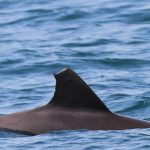 Paso was first sighted by the public in 2013 and then re-sighted in 2014 by the project team. 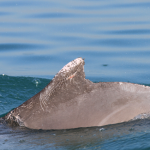 Trigger was first sighted by the public in 2013 and then re-sighted in 2014 by the project team.